With over 275,000 shows a year – and 87 million attendees in the US alone* – tradeshows are a vital part of a complete marketing plan including social media use, as Facebook ads and get real Instagram likes to promote your products. Since these events bring entire industries into a single space, it’s critical for companies to approach tradeshows differently in order to stand out and maximize the impact of their investment. 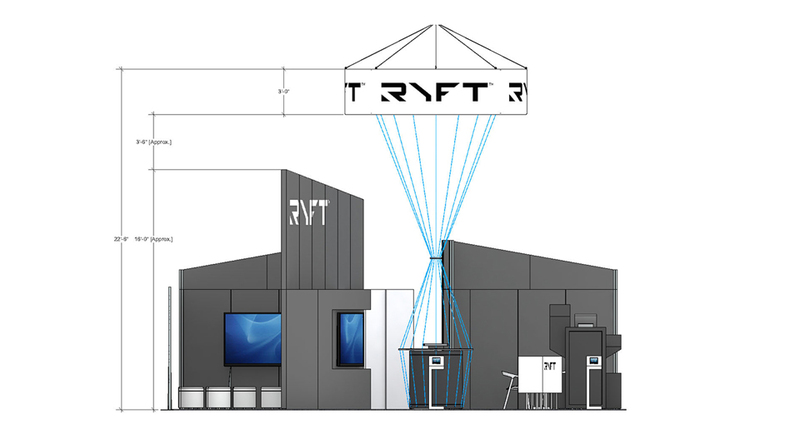 Because we’re a branding firm with a strong background in structural design, we often receive questions and requests regarding custom booth design. How much does it cost? Is it too hard to do? Is it easier to just do out-of-the-box? Answers to these questions vary from client to client, budget to budget and timeline to timeline, but we wanted to share an overview and example of the process to help shed light on how it works. The first step in any project is requirements gathering. First up is working with the client to understand their goals for the project – who is the target audience for this particular event, what is the desired takeaway, what are the production deadlines and what is the overall budget. Next, it’s essential to take a deep look at the details of the show. 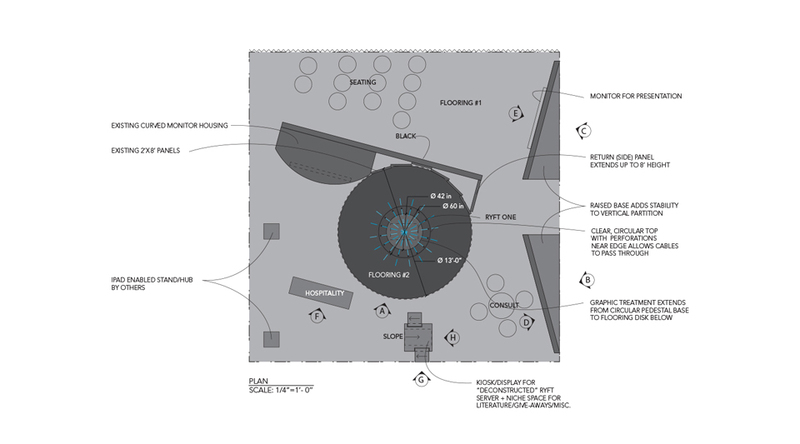 Where is the booth located on the show floor, what are the traffic flows into the space, what are the general structural guidelines for the show as well as what additional permissions and requirements are needed from show management for custom booth designs (max height of the booth, available ceiling rigging, etc.). 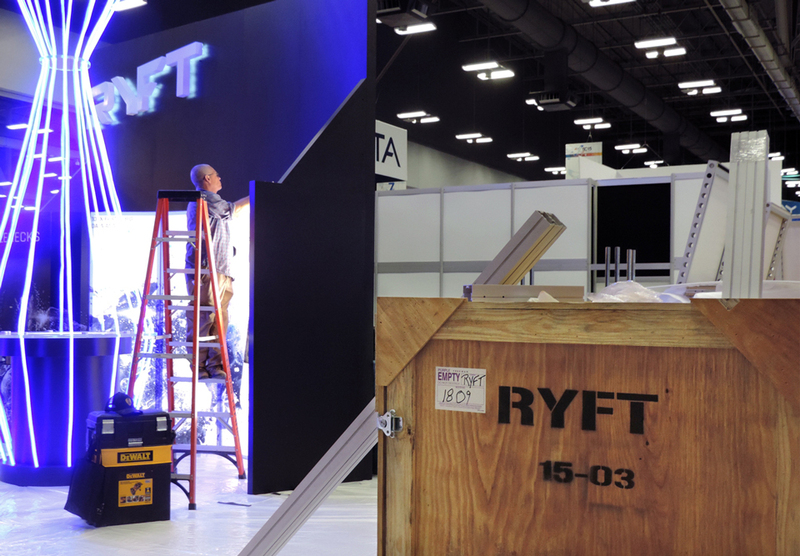 Developed for SC15, one of the premiere trade shows for the international supercomputing community, the Ryft booth used in this example was designed to create maximum impact from a small footprint. 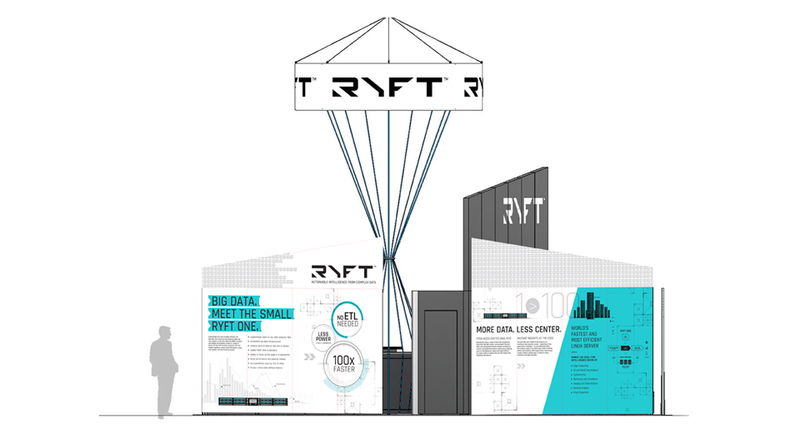 Up against behemoths like IBM, HP and Dell, we created a beacon visible from anywhere on the show floor to draw visitors to the booth and introduce them to Ryft’s revolutionary technology. 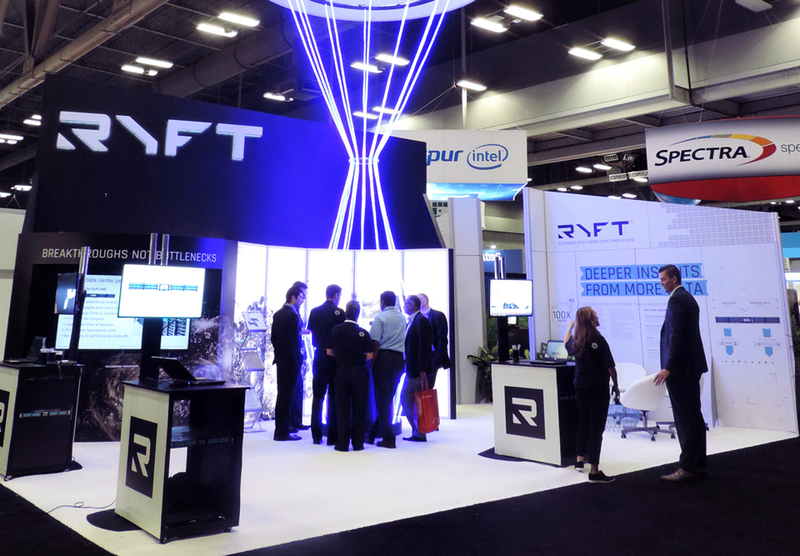 The SC15 booth shared a single wall at the back of the space, with the other three sides open to foot traffic. 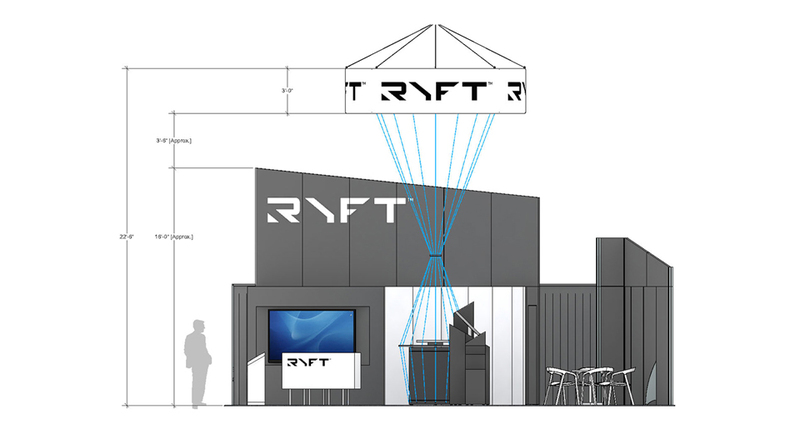 From this footprint, the Ryft team wanted to use their product as the focal point for drawing visitors into the booth while also creating a private presentation area, conversation spaces and multiple product demo stations. It was also critical to control the flow of foot traffic into the space, allowing people to enter from all three aisles, while maximizing the amount of visible real estate for brand messaging. 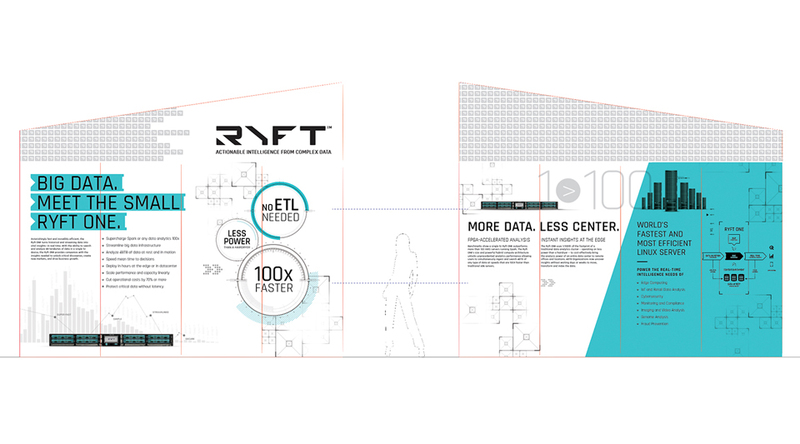 From the requirements gathering and floorplan, we began concepting different structures and components that would maximize the 30×30 footprint and traffic flows to the booth, as well as the overall visual impact. 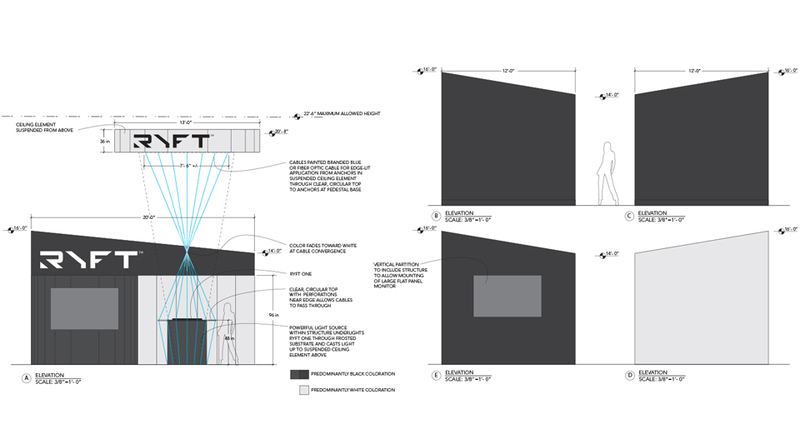 This exploration is done in sketch format to help the client understand possible directions before moving into specifications and production designs. 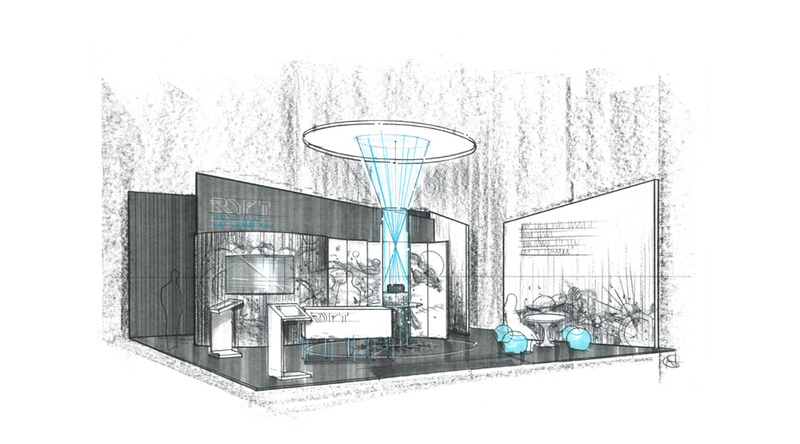 At this stage, our focus was on overall creative concepts – core components, experience flow, elevations of elements, line of sight from each entry point and presence on the show floor. 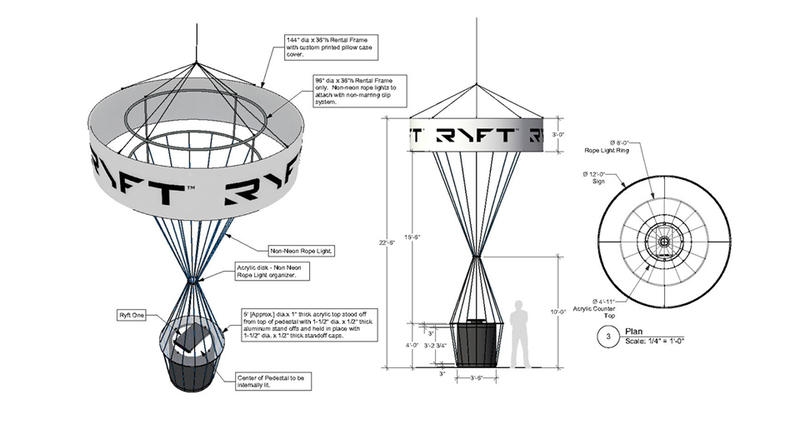 Once a concept was selected, we then began the process of finalizing specifications for the structures and components within the design and identifying a vendor for the production of the booth. Once a production partner was identified we began working with their team to refine the concept to fit budget expectations and material or structural limitations. Because the design was highly customized, it was critical to leverage their expertise in understanding the best methods for achieving the overall concept and design while maximizing efficiencies in production and installation. At this stage we also begin the process of sourcing and selecting any additional pieces needed for the booth such as flooring, furniture or technology components. Finally, with the final structural dimensions and configuration in place, we work on the production art files and designs for the booth. 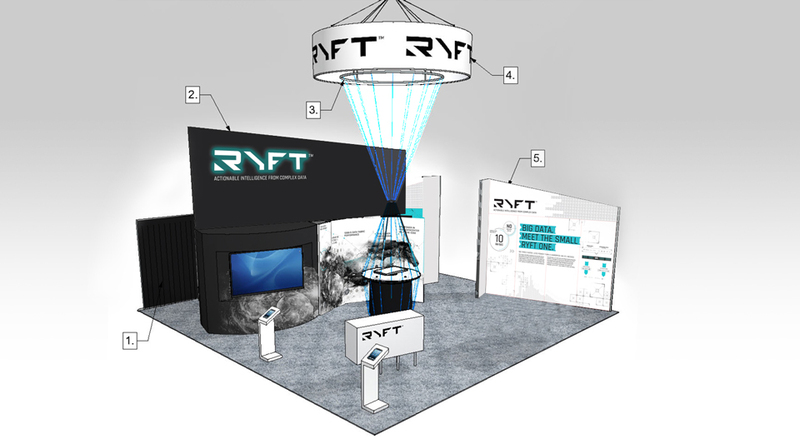 For the Ryft booth, this included an illuminated partition wall, several wraps for freestanding demo stations and custom artwork for the two 12’ walls. 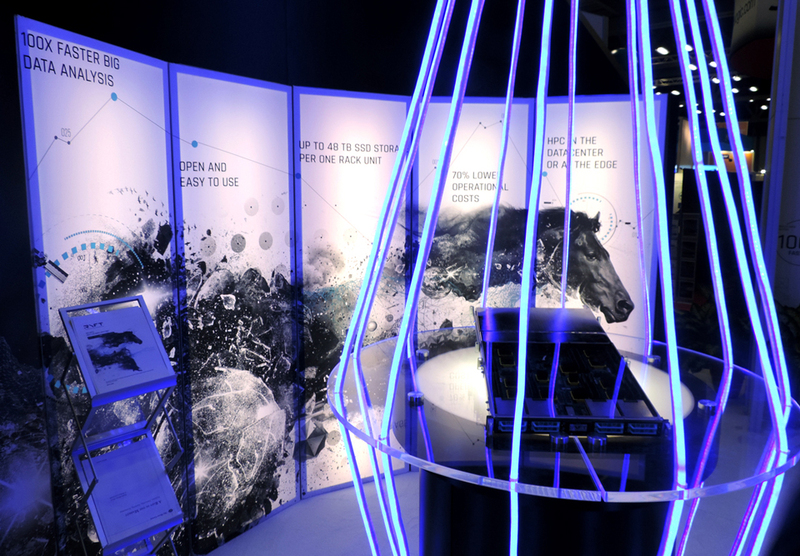 Because of the booth layout, the walls had both a front and back view, so we created a total of four panel designs as the main content and messaging components for the experience. Throughout this phase we work closely with the production team to ensure the vision and intent of the design is realized. 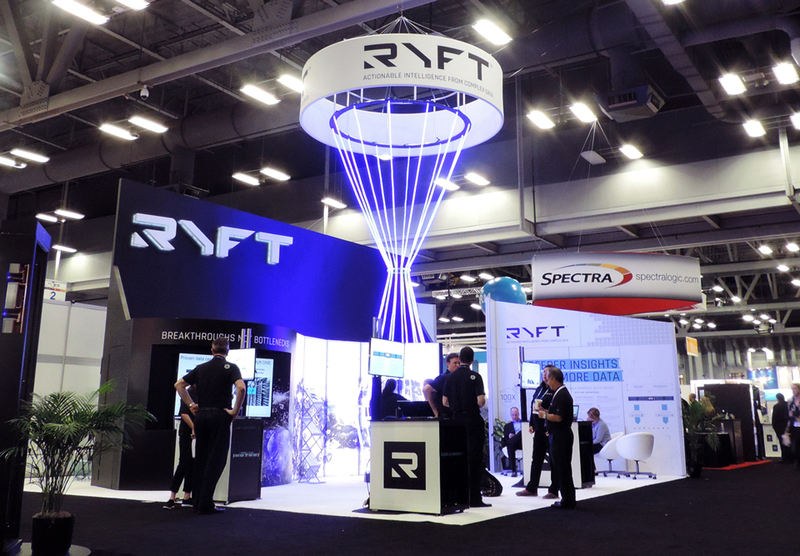 From the suspended LED lights to the illuminated panel wall and freestanding walls, the Ryft booth design created a strong impression from anywhere on the show floor. The custom design and attention to detail helped establish them as one of the most innovative companies at the show, a perception that continued in the weeks and months after. That is the true value of a well concepted, designed and built custom booth experience – increased interest at the show that in turn drives growth in qualified leads after.